The manufacturing industry is undergoing a major transformation, fueled by the dominating presence of the Internet of Things. Big data and analytics, Web-based systems and cloud computing have all played a significant role in supply chain optimization. These digital innovations provide companies with the platforms and tools needed to increase insight and visibility, enhance operational efficiency and improve customer satisfaction levels. In an article for Manufacturing Business Technology, Sean Riley recently reported that wearable technologies are becoming especially useful in warehouse settings, specifically with order fulfillment functions. These devices, which mainly consist of smart glasses, watches and voice-controlled headsets, can lead to significant cost-savings in a number of ways. As Riley pointed out, traditionally, warehouse workers would have to pick and stage an item before having it inspected and reviewed for quality assurance. Manual operations leave a lot of room for human error; if the wrong product is given to a consumer, the retail company is blamed and, ultimately, the manufacturer loses money. However, the barcode scanning capabilities of wearable technology offer complete accuracy and expedited production. In turn, businesses are able to do more in less time, all while maintaining high levels of customer satisfaction. According to an industry report published by top challenges that supply chains today face is meeting the growing expectations and needs of customers while reducing delivery costs. One of the strategies frequently employed to help drive operational excellence and stay relevant among competitors is adopting digital solutions. The report indicated that wearable technologies are expected to benefit warehousing and manufacturing sectors the most over the next couple of years. These devices provide workers with access to real-time information, accurate identification tools and interactive software applications that enhance inventory and order fulfillment operations. In addition to creating more efficient processes, the "hands-free" wearables can also be used to increase worker safety. And, although the dynamic and intuitive features of this technology can provide supply chains with a wide range of benefits, there are still some downsides. For example, wearable devices are costly. According to Riley, a pair of Google Glasses runs at the retail price of $1,500. On top of the expense of equipment, supply chain managers also have to carve out time for installing the innovation and training workers on how to use it, both of which can delay production. The source also pointed out that additional security measures will have to be taken to reduce the risk of warehouse theft or "shrinkage." 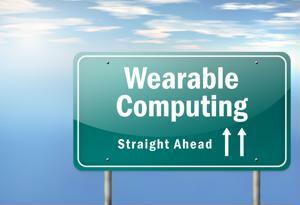 Another major concern with wearable technology is security risk. Companies already face a wide range of complexities when it comes to safeguarding the supply chain. These devices could require further action be taken to prevent malware attacks, data breaches and personal privacy invasions. The MHI and Deloitte survey report revealed that, over the next couple of years, businesses anticipate spending at least $7 million on supply chain technologies, with the market for wearable devices expected to grow 38 percent a year from 2013 to 2018, a projected value of $12.6 billion. The source pointed out that, in an effort to implement cost reduction strategies, companies can sometimes make changes that are counterproductive and, ultimately, fall short of expectations. Therefore, it is highly recommended that organizations are especially mindful of which investments in technological innovations are made, taking into account how each could impact overall supply chain quality and performance. The source suggested that business leaders thoroughly identify and assess the application of each solution and that manufacturers should focus on high-value assets and large distribution centers. Though it will likely be a few years before wearable devices become adopted by the majority of manufacturers and warehousing companies, it would be wise for supply chain managers to, at the very least, consider how the use of such advanced innovations could influence performance.